Majority was awarded this 96,990 square foot Negotiated General Construction renovation project. Construction consisted of demolition of many of the store fronts including the Kroger anchor store. 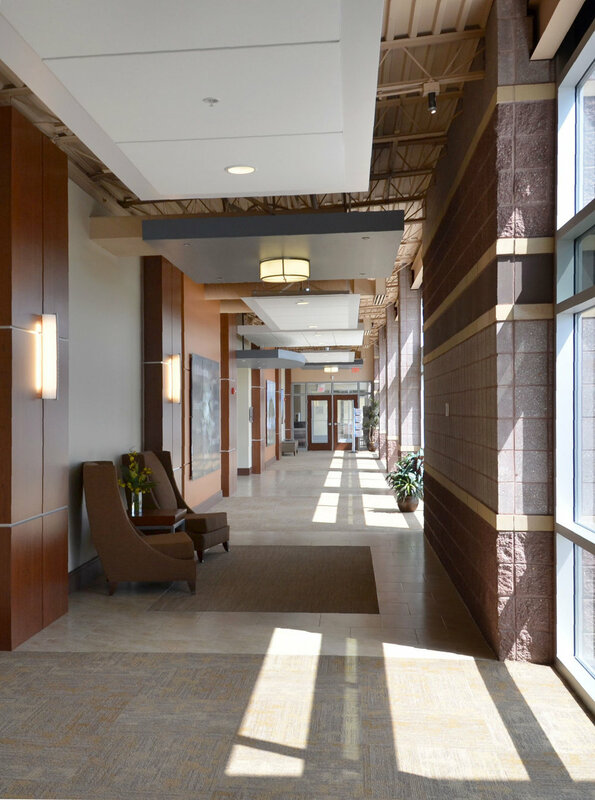 A new common corridor and prominent entry was placed across the center to allow access to the individual Allied Physicians of Michiana practice suites. The complex serves as home for about 50 physicians and about 250 support staff. The project materials included split face block, composite metal panels, storefront aluminum window systems, conventional steel and joist framing. Majority was chosen to provide the Design-Build construction services for this negotiated 16,100 square foot medical office building. The use of color and many different exterior building materials, along with a unique barrel roof and curved galvanized metal wall stairwells adds to the building’s curb appeal. The Kalwall translucent wall panels provide light into the outset curved wall stairwells located at each end of the building. 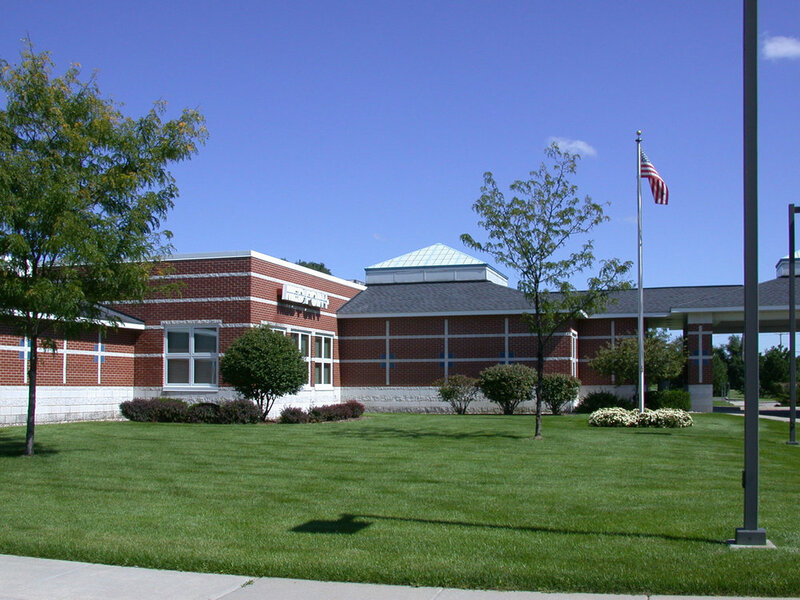 The building construction consisted of conventional wood framing, storefront aluminum window systems, masonry brick, EIFS, manufactured stone veneers, Kalwall panels, and architectural metal roof areas. 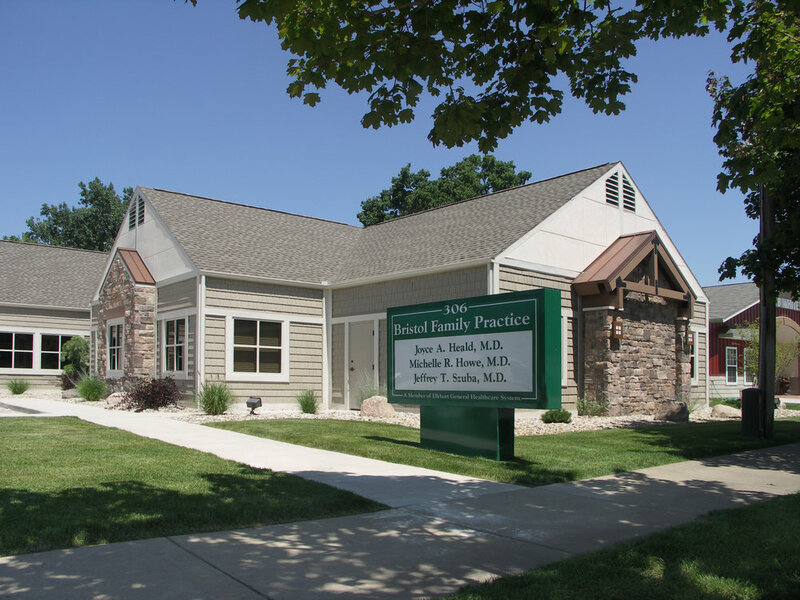 Majority was chosen to provide the Design-Build construction services for this negotiated medical office building located on Goshen’s east side in the Dierdorff Square complex. The contemporary exterior featured multi-color stone tiles. Those colors were carried inside to the office interior. 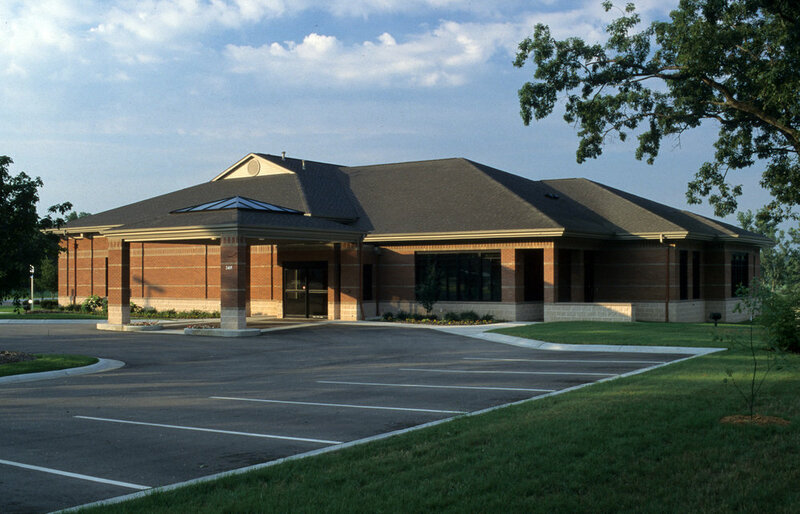 Majority was chosen to perform the Design-Build services for the addition and renovation of the 20 year old healthcare building located in downtown Bristol, IN. The office is a part of the BEACON - Elkhart General Hospital system. 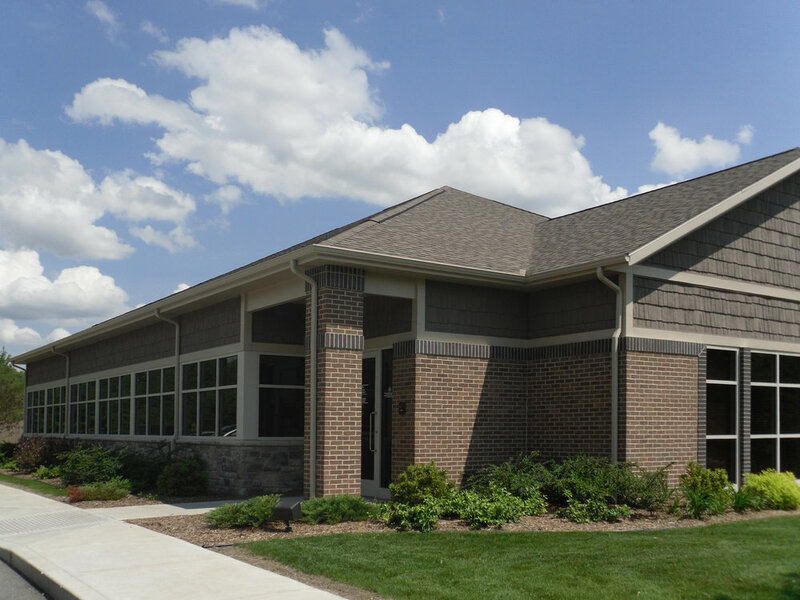 The 3,276 square foot addition and 2,884 square foot renovation of the existing building had to be performed in stages to allow the offices to remain open. 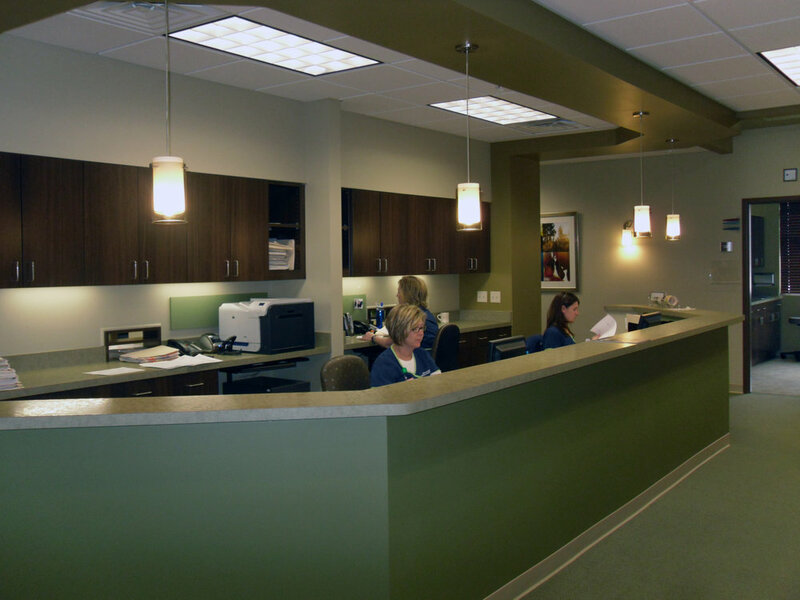 Knowing the space needs for each physician, the proper flow of office staff and patients was key in order to provide a comfortable atmosphere. Majority provided all the pre-design, color and material selection services with the owner to create this warm and welcoming building. The 23,711 sq. ft. building used conventional wood frame, concrete slab-on-grade construction. The exterior used maintenance free brick, synthetic stone, limestone, EIFS, Insulated Storefront Window Systems and dimensional shingles. 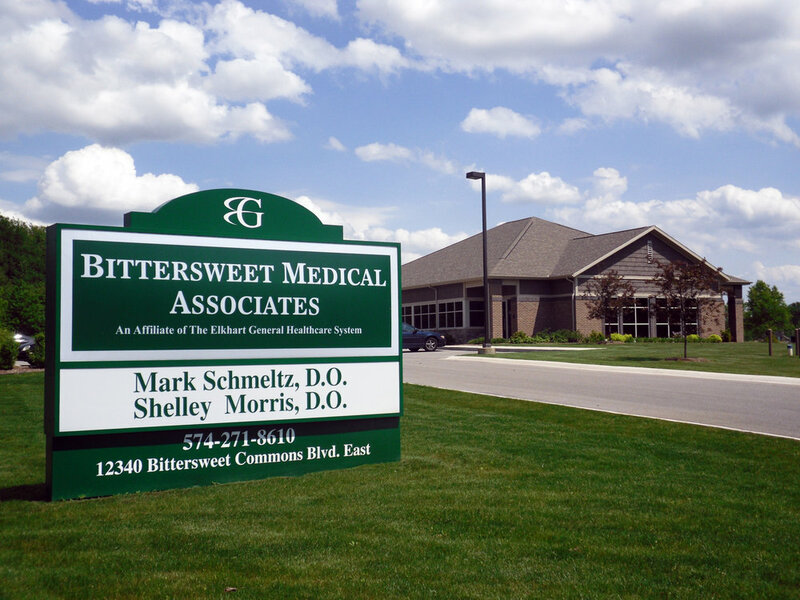 Majority negotiated a construction contract with Dr. Abbott on this 11,058 square foot Medical Office Building as designed by Michael J. DeBartolo, Architect. The construction consisted of conventional 1- story wood frame walls with roof truss system on slab. Numerous aluminum framed windows, dark brick and light colored EIFS system added contrast and created a unique appearance to the structure.